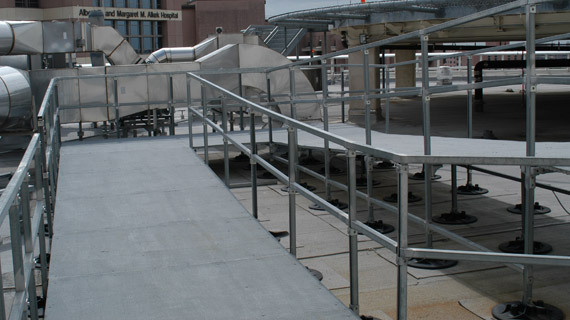 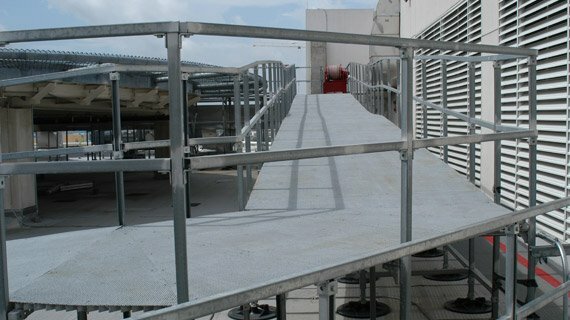 The PHP Ramp is to provide a safe means of access by crossing over any rooftop obstruction such as piping, ducting or equipment. 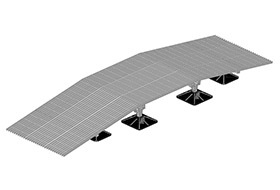 Layout isolation pads according to footprint of ramp. 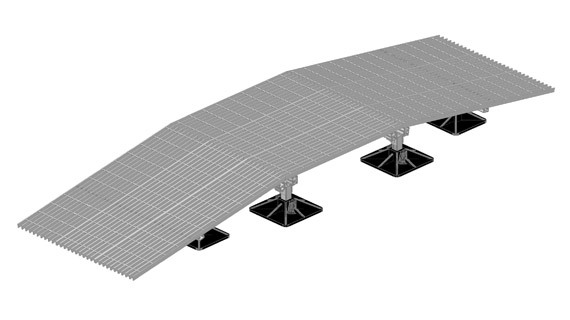 Insert legs of substructures into bases. 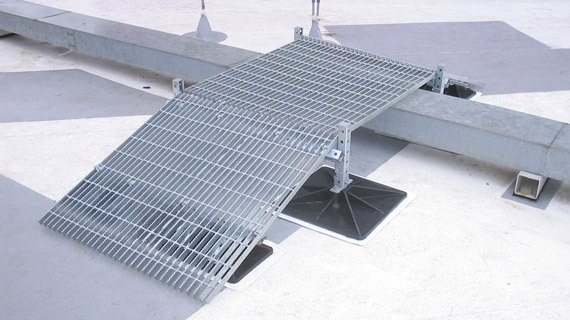 Place grating for ramp landing on 1-5/8” Channel of each set of substructures. 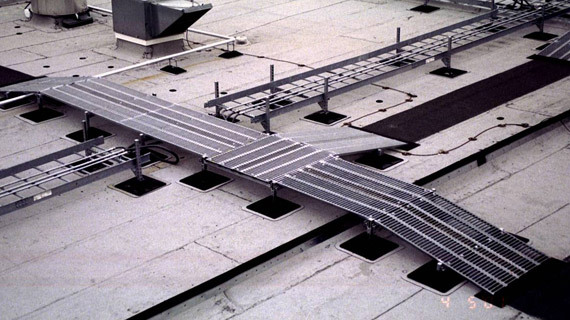 Attach grating to 1-3/4” B-B channel with hold-down clip.